Jaco Pistorius Park in Oakland Park, Florida, takes it's name in remembrance of one of the all-time greats of jazz and base guitar. The location is not a park as you would normally picture a park, but rather an open field where all the hip and happening events in the area take shape. Many people travel far and wide to attend these events at the well-known park. Events which cater to people from all walks of life and have diverse and differing interests can be found on the upcoming schedule. 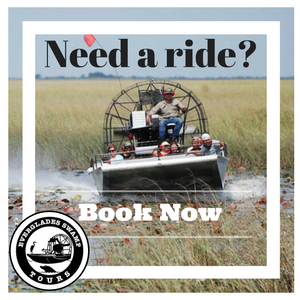 Keep tabs on the upcoming events and you are sure to find one that will have you and your family enjoying the day/nighttime excursion of a lifetime. Examples of the events are travelling amusement parks, a festive Oktoberfest event, parades of all kinds and of course live music events. The park itself is an open patch of green lawn which people often use to walk their dogs or just to take the kids to run free for a few hours.There is a huge variety of nearby eateries, watering holes as well as accommodations which make it such a convenient venue to hold such events. If there are no events, no problem at all, you can still enjoy a day at your favorite park. Take a picnic basket and spend some quality time with your loved ones. Or, if you have your own special event to host, consider renting out the community center at the park. The 2,325 square foot main hall can be divided into two smaller rooms. Jaco Pastorius Park Community Center has large men’s and women’s bathrooms and a large prep kitchen. The kitchen offers use of a steam food warmer, ice machine, and large refrigerator. The hall is equipped with fifteen 5’ round tables that can accommodate up to 8 people comfortably, ten 6’ long tables and 150 banquet style chairs. The room capacity is 250 people. Jaco Pastorius Park Community Center is adjacent to the large open park with walking trail. For music buffs, you are sure to enjoy at least a few of the many live performances put on in Jaco Pistorius Park in Oakland Park, anything from jazz, blue to some light rock can be expected. There is always something you will want to see. Even if the live performance scheduled is not for you, the atmosphere and relaxed environment is enough to keep you going back for more and who knows you might start to appreciate some other genre of music. A terrific venue to meet new people and enjoy a relaxed, safe environment.